Steaming chicken in the Thermomix is quick and easy and the chicken can be used in a variety of dishes. Hot or cold – steamed chicken is a healthy alternative to pan-frying and with the Thermomix, you can just set the timer and walk away! 1. Marinade the chicken in a large mixing bowl with 2 cloves of minced garlic and 2 tbsp of lemon juice for 15-20 minutes before putting it in the Varoma. 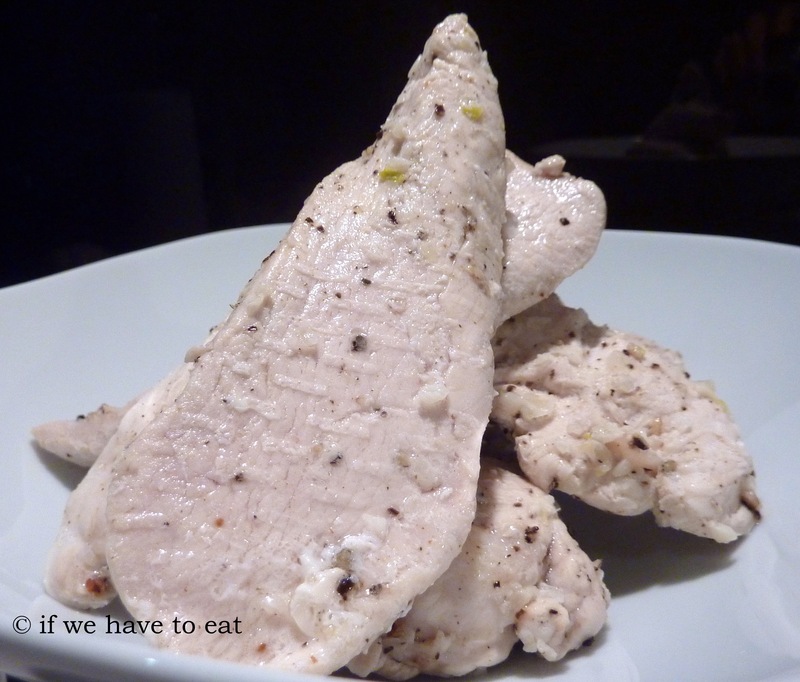 This entry was posted on December 8, 2013 by ifwehavetoeat in Basics, Mains and tagged Basics, Easy, Fast, Mains, Poultry, Recipe, Thermomix, Varoma.